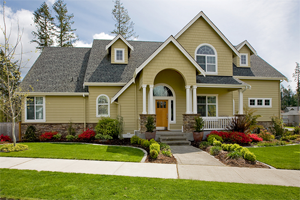 Houston Landscaping and Lawn Service has its roots in the lawn maintenance. From sprawling Houston estate homes to small suburban lots if you have a patch of grass, we can maintain it. Regular mowing and a schedule of fertilization, thatching, reseeding, and aeration are among the many lawn maintenance services offered. 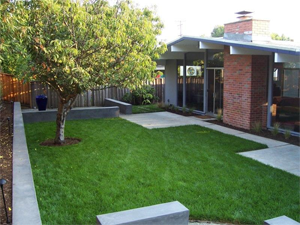 In addition to caring for your existing lawn, we can also install sod, creating a beautiful lawn in just a few hours. While lawns are traditionally associated with homes, many commercial buildings landscape with grass. Whether you manage an industrial building, medical center, shopping center, car dealership, factory, church, apartment building, or any other complex surrounded by greenbelts or strips of vegetation, hiring a Houston landscaping and lawn service allows your greenery to look its best. Whether the property is residential or commercial, our crew of landscape maintenance workers respects the property owners, any animals onsite, customers, and the property itself. Our workers are polite, efficient, reliable, and highly trained in the best practices for landscaping as well as safety. We take great care to protect our workers and property from harm and are licensed, bonded, and insured.